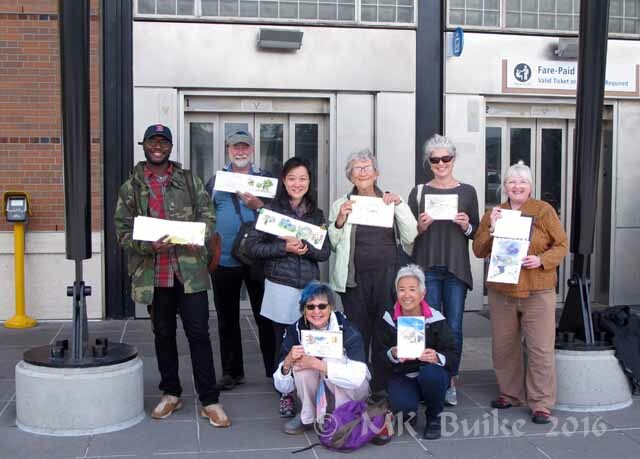 As we met at the Beacon Hill light rail station this morning it was chilly and raining. Some went straight over to The Station coffee house nearby. 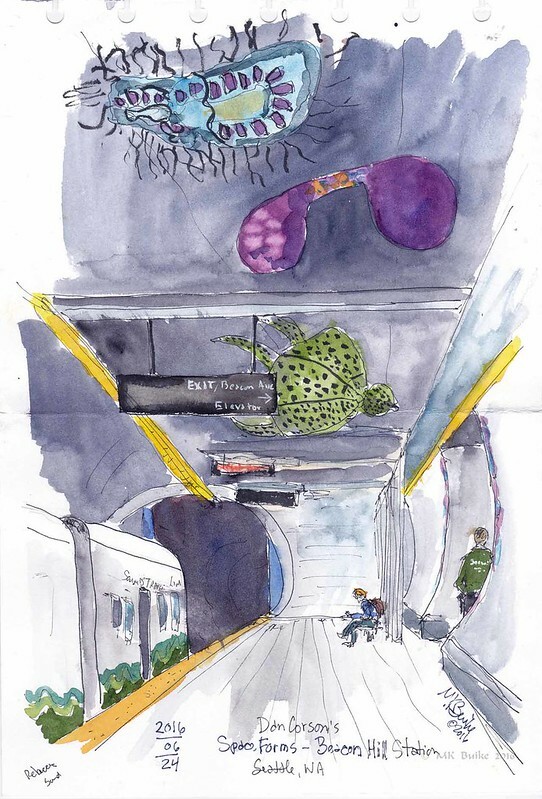 I was intent to sketch another item in my project on the art at all the stations. So I went down into the tunnel. This is "Space Forms" by Dan Corson. By the time I came up, it was sunny and warmer! 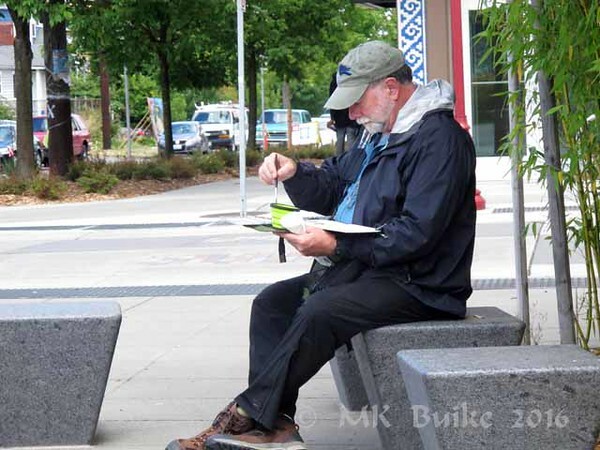 Others were sketching outside. We welcomed two new sketchers to the group! This was Dave's first sketch outing with us.